This book was provided to me for free by the author in exchange for an honest review. 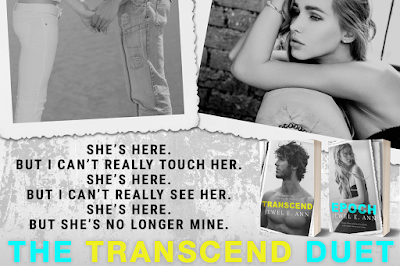 This book is the second part of duology, and this review will contain spoilers for the first book, Transcend. You can read my review of it here. 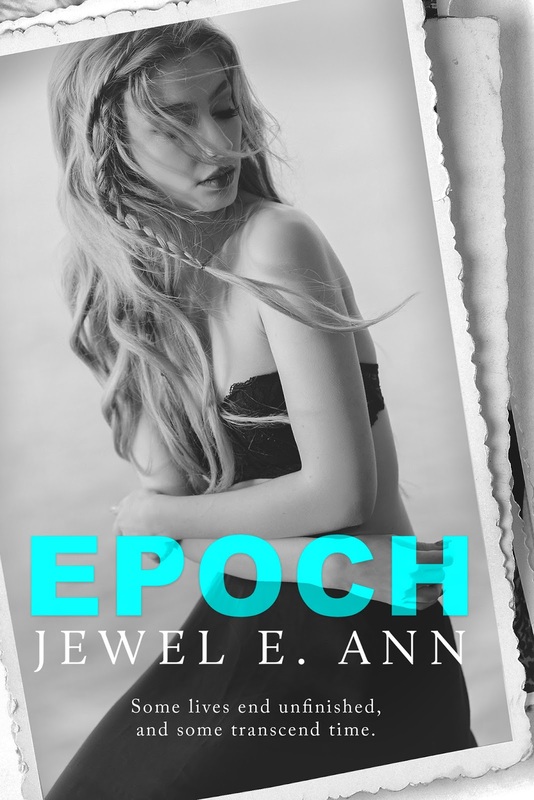 Thoughts: Oh my gosh, JEA really outdid herself this time. After such a cliffhanger ending to Transcend, I absolutely couldn't wait to get to Epoch, and it really did not disappoint. I don't even know where to start, except that it's hard for me to discuss what I loved so much about this book, this series, without mentioning spoilers. The things that JEA normally does well, she did REALLY well in this series and especially in this second half, when everything comes to a head. Complex characters making decisions that I normally wouldn't condone, but that I find myself empathizing with? Check. Unique circumstances that are adeptly portrayed with nuance? Check. (I mean, hello. Reincarnation.) Real, actual character development, not just for the sake of romance, but for actual character growth? Check. Not doing the easy/lazy thing? Definitely check. Let's start with Swayze, Nate, and Griffin, and the weird sort of love triangle that exists as a result of Swayze's memories of Daisy. Love triangles are not a new thing (especially if you're into both YA AND romance novels, like I am), to the point of almost being tiresome. This guy, or that guy? Omg, this is so torturous, IDK what to do! In this series, it's really not so simple. I would actually say that it's almost lazy to call it a love triangle, because it's so much more complex than that. Swayze loves Griffin; that is a definite. But Swayze definitely has to deal with the memories she has "inherited" from Daisy, which involve Nate, and Nate has to deal with his unresolved guilt and undying love for Daisy, who has now "returned" to him, in the form of the physically-attractive young Swayze, who also shares a certain level of intimacy with Nate, as someone who spends all day in his house, taking care of his infant daughter (whom she also loves). That's not a love triangle; it's a love onion. It is layered and intriguing and all sorts of messed-up, because you care about these characters individually and you want everyone to find happiness, but there's just so much going on that you're sure not everyone can "win." And at the heart of it all, even though there are definite "Team Nate" fans and "Team Griffin" fans, I felt like JEA was communicating that the "real" team here is "Team Swayze." Because you know what? She is really suffering. Her blessing is also a curse, and it's affecting her ability to function. She has stumbled onto some knowledge that is putting her in danger, and her obsession is isolating her from her loved ones, and at a certain point, I found myself saying, "I don't care WHOM she ends up with, as long as she ends up okay." I don't know that I've EVER found myself saying that in response to a romance novel, ever. And that is a credit to JEA as a storyteller that I found myself caring less about the romance IN A ROMANCE NOVEL than the mental health and character arc of the female lead. Which is not to say that I didn't care about the romance whatsoever or that I was sorry about how the novel ended. I loved how everything wrapped up, and DAT EPILOGUE THO. This was beautifully written and SO compelling. Prepare to have your heart broken and then put back together again.